You can find many inexpensive indie science fiction books at Kindle store. And that’s always risky, particularly if it’s the author’s first novel. A Sword Into Darkness is well worth the risk. In the near future, 2023—just ten years after the book’s publication—an aerospace tycoon is trying to convince NASA that an alien ship is headed for Earth. They laugh at him. Because the aliens are travelling at sub-light speeds, Earth has several decades to prepare. This allows the author to introduce technologies that are advanced enough to deal with the potential threat without “a magic space drive”. The first half of the book actually spans several decades in which he visionary tycoon, Gordon Lee, and his people design and build the spaceship that will try to establish first contact, the Sword of Liberty. Mays has two decades of experience in the US Navy and two degrees in applied physics. But he doesn’t stuff those first chapters with obscure jargon. Instead, the first half of the book feels like we are sharing a pleasant afternoon with a good friend building some kit model that we’ll later use to play some space battles. Fun and interesting and building up some anticipation, as it should be. From time to time, as the group works to develop new technologies and materials to build the ship, we see the government getting in the way, and being generally unfriendly. I have to admit I found it amusing how much those scenes helped to keep the story believable. After that, Mays still has several surprises for us. Some of them really imaginative. But before we finally meet the aliens there’s the silly-chapter-of-the-book. A—thankfully—short chapter dedicated to text messages sent from the protagonists’ ship to their loved ones on Earth. That late in the book we really do not need to see the human side of these people, we already know them. And we are well aware of their situation and worries. You can skip it, it adds nothing. At last we met the aliens. And, surprise, surprise, there is a space battle. 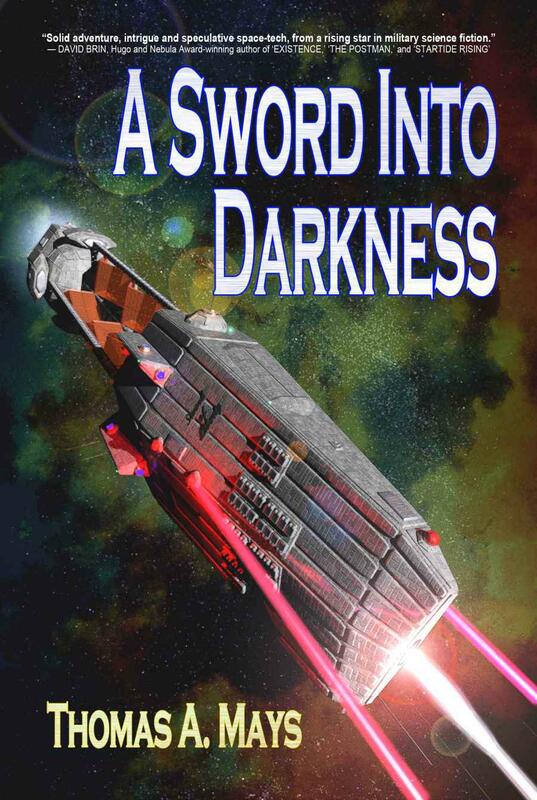 Although if you really want to read military science fiction only for the space battles, this one is rather modest. Not bad, just modest. And eventually we learn a few thing about the aliens’ motivation. That is certainly imaginative. They are not coming here for Earth’s resources or to just conquer or enslave us, there is no galactic war going on with us getting caught in the middle. The aliens are driven by a motive that is surprising yet understandable. When I considered purchasing this, I doubted whether the author could successfully make the ambitious premise believable. Yet the Amazon reviews are favorable, so I gave him my money. I don’t regret it. It surprised me, but he pulled the whole thing together.